Coca-Cola, Sprite, and Dasani also got a redesign to fit into the immersive Galaxy's Edge attractions at Disney Parks. A long time ago in a galaxy far, far away people must have loved Diet Coke as much as they do today in this solar system. 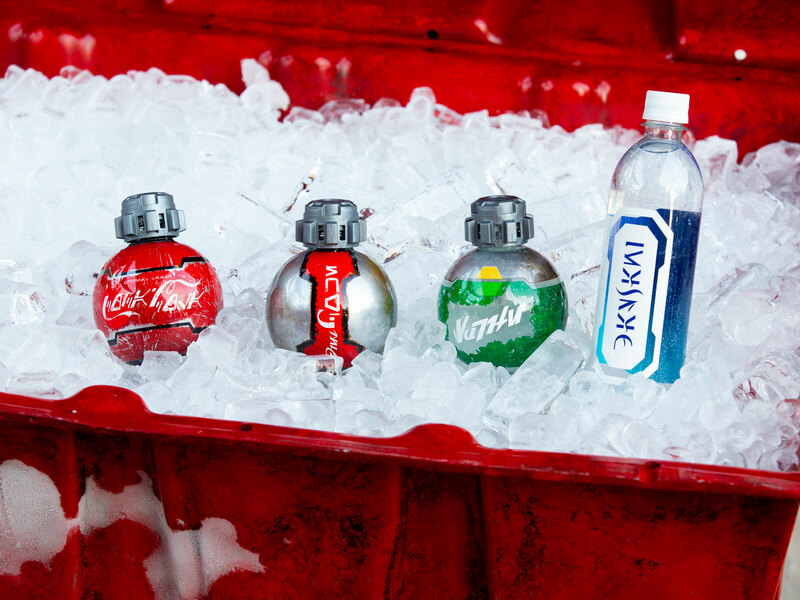 The iconic calorie-free beverage, it's sugary counterparts Coca-Cola and Sprite, and sister bottled water brand Dasani are all, officially Star Wars canon thanks to their inclusion at various food and snack outlets in the forthcoming Galaxy's Edge attractions opening at both Disneyland (May 31, 2019) and Disney World (August 29, 2019). But if you're looking for a familiar refreshment at either of these parks, don't expect to see the logos you've probably had burned into your retinae from decades of successful marketing. The soft drinks have been completely redesigned to fit in with the immersive Star Wars-themed experience. The whole point of Galaxy's Edge is to feel as though one has stepped into the actual Star Wars universe, so you won't find Mickey ears or price tags and signage in English offering two-for-one key fobs. Instead, all of the gift shops, restaurants, and snack stands have been seamlessly integrated into the Black Spire Outpost on the planet of Batuu. 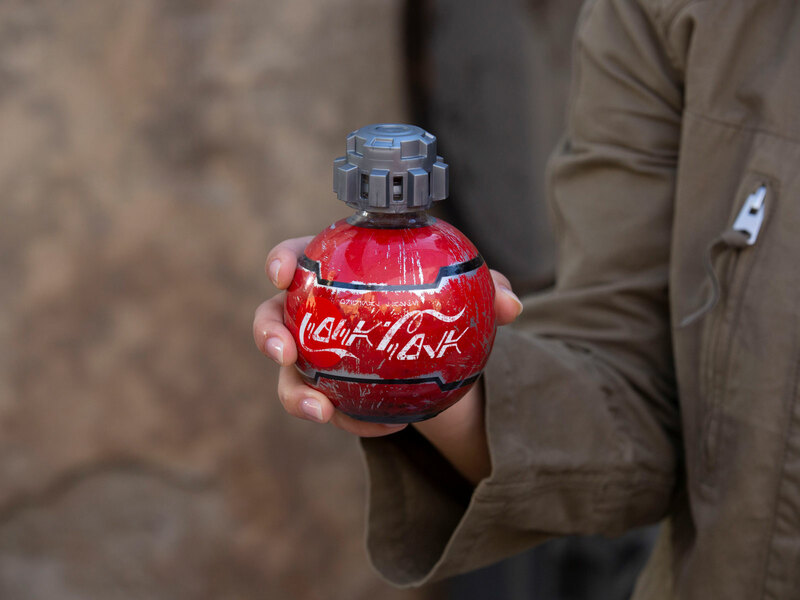 But big brands like Coca-Cola have been part of the Disney Parks experience from the beginning, so for its fizzy products, that meat opting for an orb-like container with a chunky metallic-looking resealable cap and dinged up labels written in Aurebesh, the common language seen throughout the Star Wars franchise. “When we first approached Coca-Cola and shared the idea of bringing their products into the Star Wars galaxy in a new and unique way, they immediately saw the opportunity to give our guests the refreshing drinks they love in a way that maintained the authenticity of the story — which is very important to us — and that was, frankly, just plain cool,” Walt Disney Imagineering portfolio executive and studio leader Scott Trowbridge said in a statement. For more on how the Imagineers and culinary wizards at Disney Parks put the story of Star Wars Galaxy's Edge on the menu, read our behind-the-scenes story here.